I bring you great news from the world of Kelantanese football. After reporting on the hype before this weekend's huge contest, I'm happy to say that the Red Warriors came through with a win. I'm also relieved to add that I now understand the significance of this match. This was the final game for the 2012 Piala FA Malaysia, which is a national knock-out competition modeled, I suppose, after the jolly old FA Cup in England. Based on what I've read and learned from talking to friends, mostly the irrepressible and always opinionated Kama Zaid, the match was a bit of a disappointment for Kelate fans. The Red Warriors were highly favored to win, and expected to showcase some really excellent play and beat their opponents with style and flair. Alas. sometimes the big games do go flat like this. In an odd move that underscores the lackluster performance of the winning team, the coach of the losing team was named Man of the Match. Yes, you read that right. The coach of the losing team. Ouch. That hurts. However, a win is still a win. 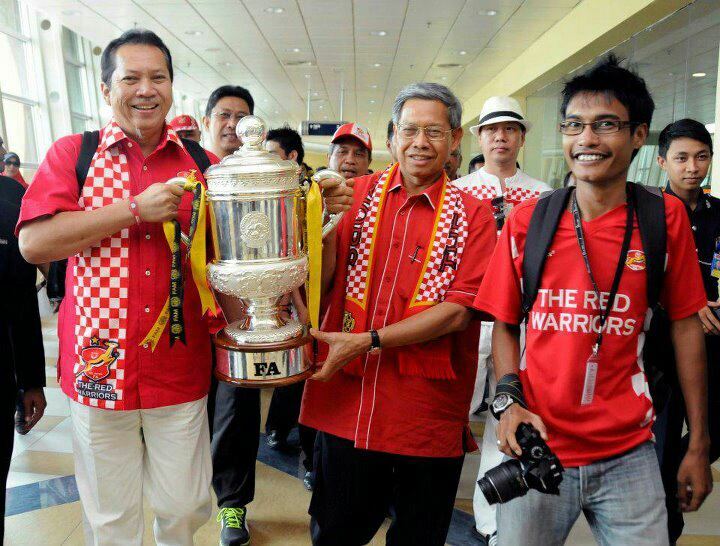 And for the first time in the 23-year history of the Malaysia FA Cup, it belongs to the Kelantan Red Warriors. 1. There have been two recent near misses. 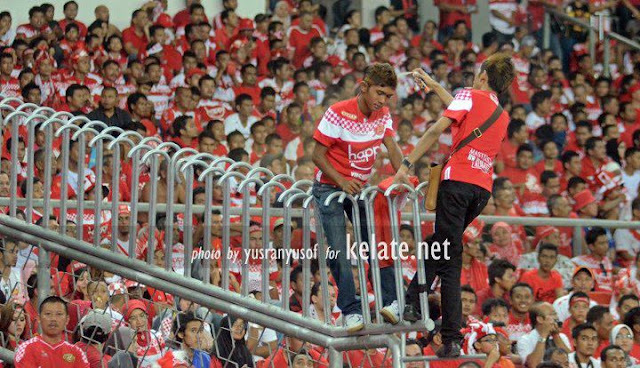 In 2009 and again in 2011, Kelantan made it to the final Piala FA game and lost. The 2009 loss to arch rivals Selangor still rankles me and I don't even live on the same continent as these people. So it's nice to finally go into the final game and come out on top; the third time really is a charm. 2. It's always great when the underdogs win. Oh, I know..in terms of athletic ability and preparedness, the Red Warriors were the team to beat. But in a larger sense, as I understand it, the Kelantanese are often looked down upon by their countrymen. Especially in the sporting world, these football fans are often considered hooligans and ruffians, so it's nice to see them come out on top. Crowd reaction to the Red Warriors' one and only goal. Woohooooooo! 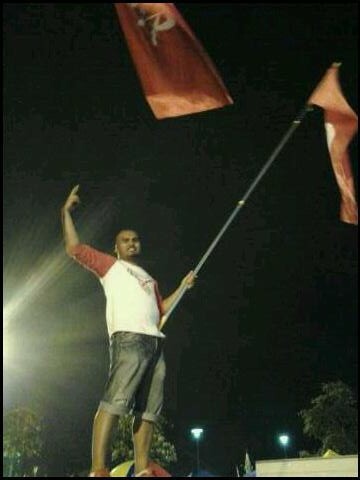 After the game, Red Warriors fans are on top of the world. Here's proof that not only do Kelantanese love their Red Warriors, but they also drive on the British side of the road and despite rumors to the contrary, actually do know how to do the wave. 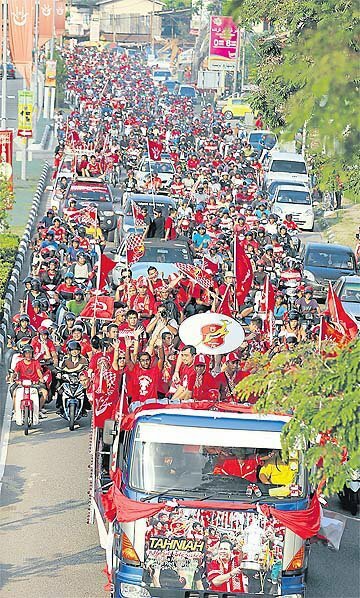 A hero's welcome for the team back in Kota Bharu, capital city of Kelantan. See the word, "Tahniah," on the front of the truck? It means "Congratulations," and I didn't even have to look it up. Judging by the crown's calm demeanor, this must have been during a boring stretch of the game. Looks like these two decided to make things more interesting. Bringing home the shiny bad boy. Winning this cup is more than just a football trophy; it's a victory for honor and respect and the Kelantan motherland. I'm proud to be a Red Warrior fan. Gomo Kelate Gomo! This photo has nothing to do with this weekend's FA Malaysia Cup win. But it's still one of my favorite Red Warriors-related photos ever. So there you go. As always, thank you to my dear friends who loan me their videos and photos, as credited above. according to google translate, kemah = tent. ummm. i don't think that is what you mean to say. help! kak na, kemah is not literally traslated as "tent". Kemah is come from a word, "kemas". Which mean tidy. And it's a slang for 'very good'. I guess. Oh! I understand. Thank you for explaining. Now someone needs to break the news to Google Translator.